The Beatles came along at just the right moment…change was in the air…obsolete cultural values were being discarded…truths were being revealed…we are in a similar moment now…so let’s revisit The Beatles! Scott Freiman is the creator of Deconstructing the Beatles, a series of multimedia presentations about the composition and production techniques of the Beatles. 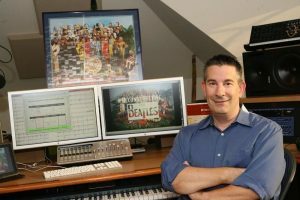 Mr. Freiman has presented his lectures to sold-out audiences at theaters nationwide and has spoken about the Beatles at colleges, universities, and corporations. In the Fall of 2012, Mr. Freiman taught a semester course on “The Beatles In The Studio” at Yale University. Scott and Baruch discuss the significance of The Beatles, Scott does some deconstructing for us, and we listen to The Beatles, perhaps hearing things we’ve never heard before. A fascinating interview which refreshed my interest and appreciation of this iconic band. Thank you, Scott and Baruch. Loved this as a huge Beatles fan. Thank you.